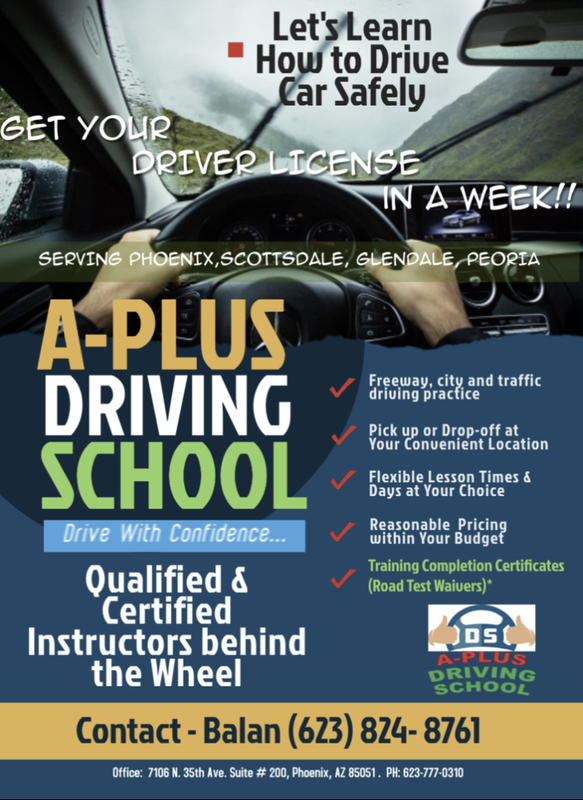 GET YOUR DRIVER LICENSE IN A WEEK!!! 100% Successful DL !!! We can get you on the road in 2 to 8 hours of training in our vehicle with a 2nd brake installed. Student pick-up from home, work or school for behind-the-wheel training.One-on-one in-car lessons for more personalized attention. 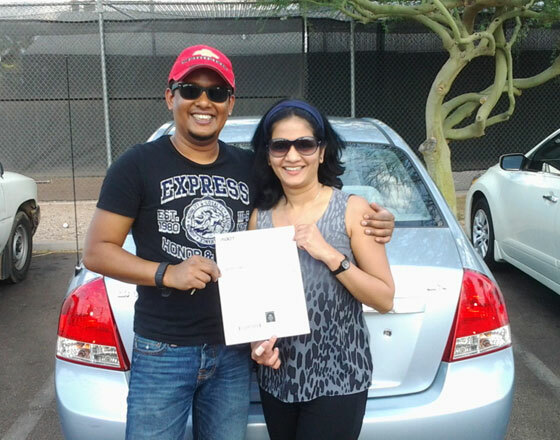 10 Hour Driving class Courses include a Training Completion Certificate (Road Test Waiver). Upon demonstrating adequate driver independence, and successful completion of our Final Evaluation, a Training Completion Certificate will be issued. This Certificate can be presented with an application for an Arizona driver license to waive the Road Test at any MVD or Third Party Provider location. Serving Scottsdale, Phoenix, Glendale, Peoria !!! We have a wide range of services, and you have the freedom to choose whichever you wish.